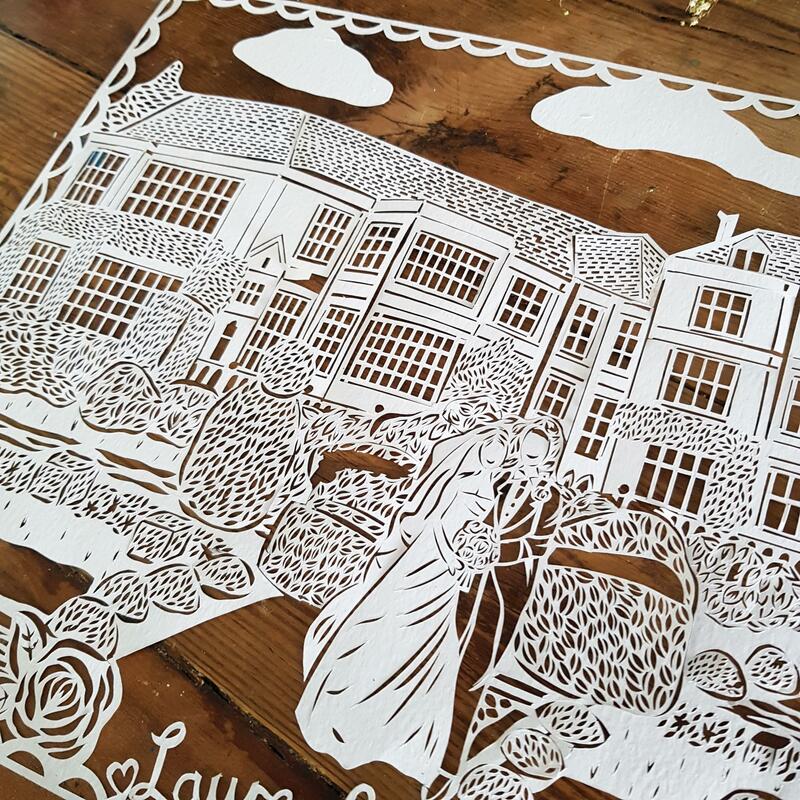 A bespoke wedding paper cut that let me tell the story of your special day with my scalpel, the perfect gift for paper anniversaries or milestone anniversaries. 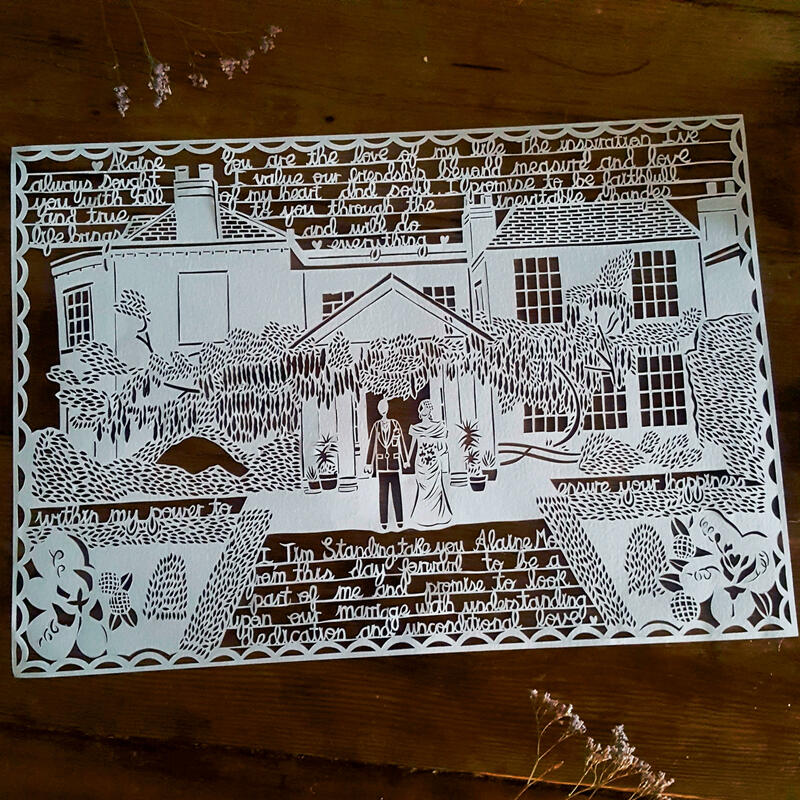 My large hand drawn, hand cut personalised paper cut pieces are truly unique to the story of your wedding day and they are the perfect gift for a husband or wife on an anniversary, birthday or as a special momento of your nuptials, with free delivery too! 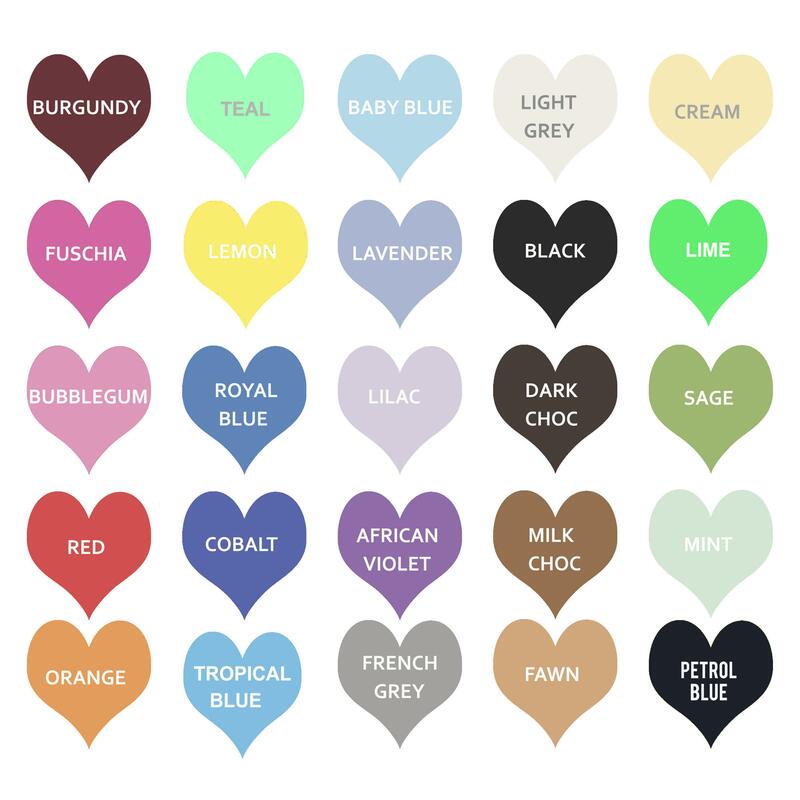 -Send me photographs of the couple on their wedding day in dress attire, shots outside of the venue, wedding flowers to aimeemissbespoke@gmail.com with your order number. 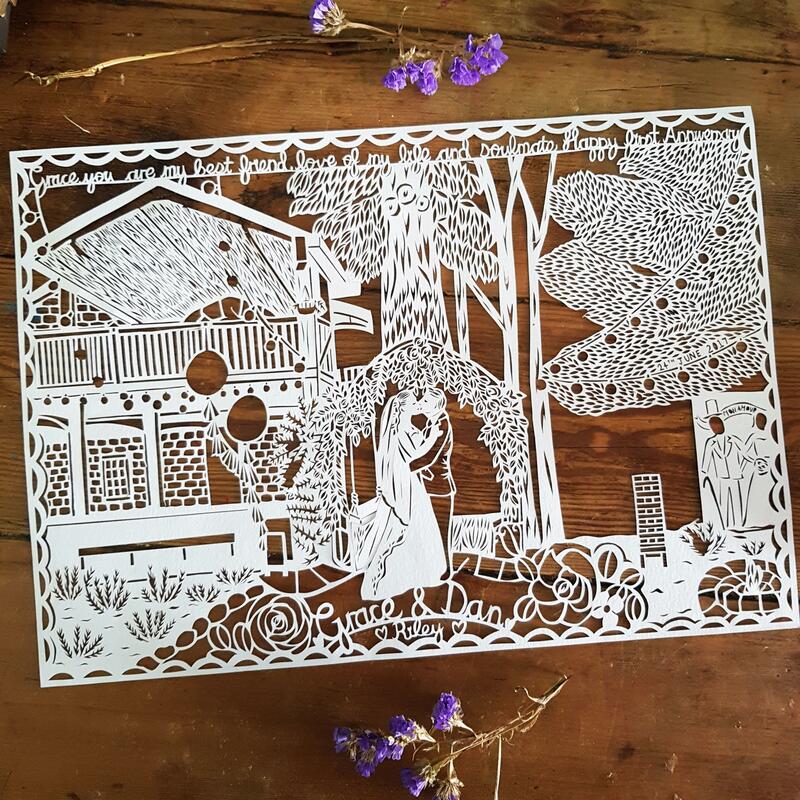 -Once I have your approval I start making magic with my scalpel and cutting away at the paper to create the final piece in a procedure that can take me up to twenty hours. 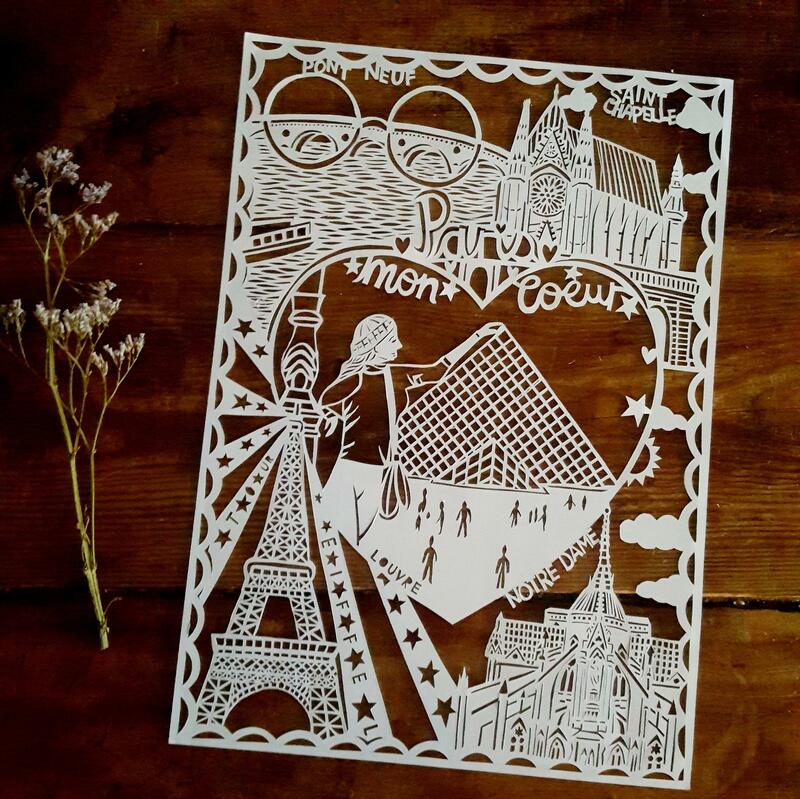 The artwork comes unframed and is mounted on 297 mm X 420 mm paper which is a standard size for frames in home stores nationwide and is cute on 120 gsm white hammered paper. *UK FREE DELIVERY* Dispatched within three weeks. 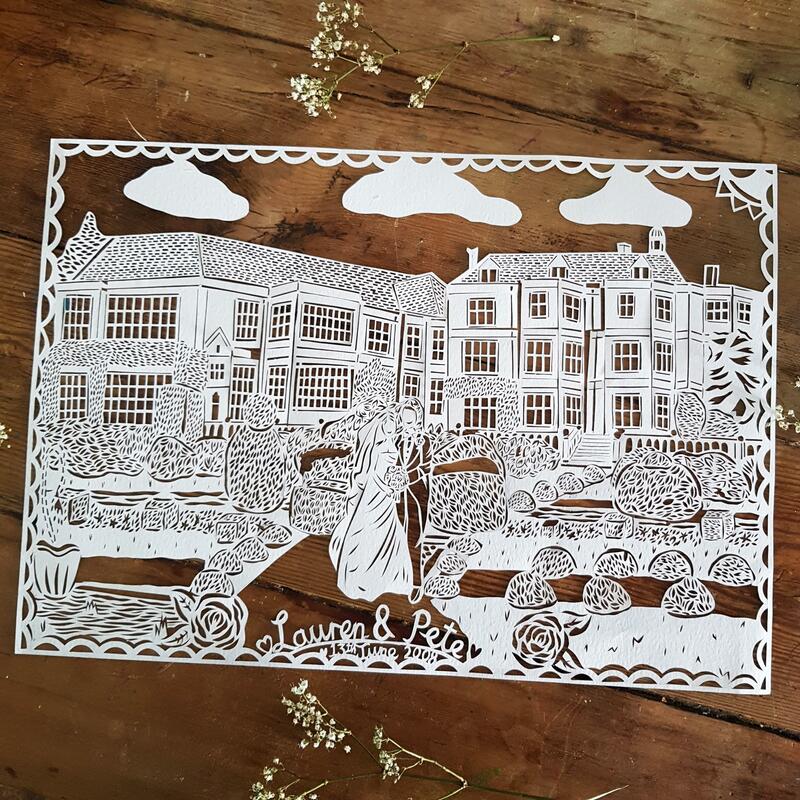 I send this paper cut by Royal Mail First Class Signed For so that it is fully insured to its value, please note your package will require a signature upon delivery.